Thirty (30) great solitaire games are ready for download. 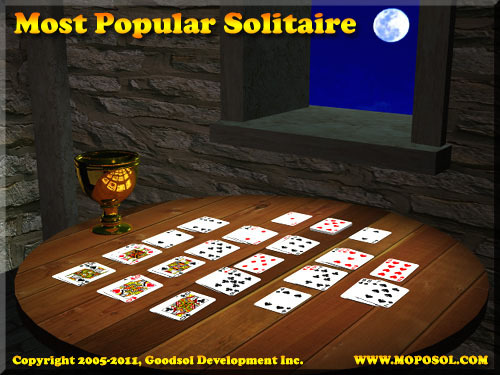 Goodsol Development has released Most Popular Solitaire 2.04 for both Windows and Mac OS X. This maintenance release fixes a rare bug and updates the title for 2011. Most Popular Solitaire is a collection of 30 of our best solitaire games, plus 13 more bonus game variants for registered users, all for only $16.95 (less than 40 cents per game). This game is also available at the Mac App Store. Old style Solitaire for mac, i like it.